Do you want your child to be balanced creatively and socially and develop personal and social skills while dancing? 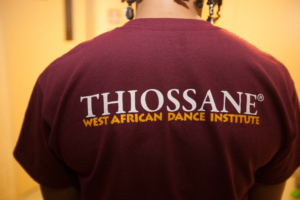 We have the place for them with African dance and drum classes for youth ages 3-16 years. Held weekly on Saturdays at 11:30 a.m. starting March 23rd, 2019. The last day to register is two weeks after start date. Dance participants should wear loose comfortable clothing and no stocking feet.